Sally, Chris, Anthony and Faith welcome you to the John Bunyan, a real family run country pub set in a picturesque location nestled in woodland on the edge of the new Heartwood forest. 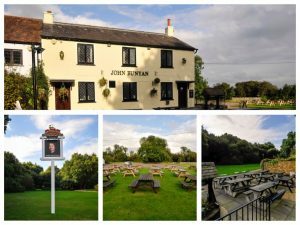 The pub was named after John Bunyan, a local preacher who wrote Pilgrims Progress and who preached and occasionally lodged in the cottage, the ruins of which are near the pub. 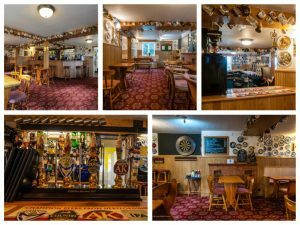 The pub has free wifi , a large outdoor seating area and large car park with plenty of grassed area for children to play on. The pub itself is adorned with over 700 plates and jugs and offers a selection of pub games including darts and shove halfpenny. 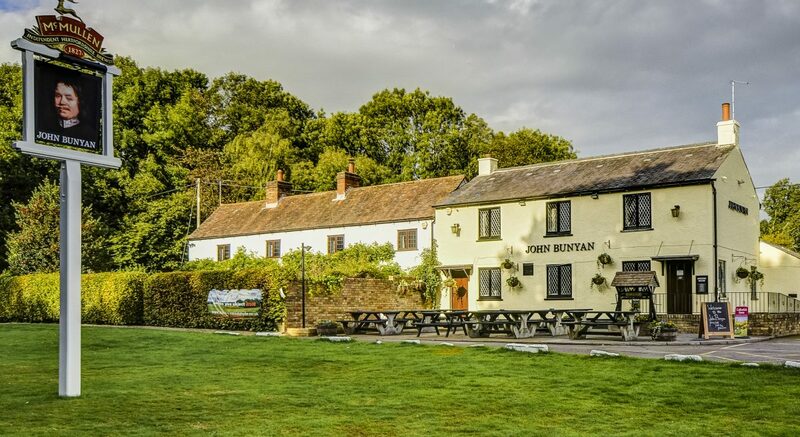 We welcome walkers, cyclists, dog walkers and horse-riders. In winter a real log fire makes it very cosy. We also cater for all occasions including weddings, christenings, birthdays.